God’s Revolution is a blog / podcast site focused on God’s people doing Kingdom justice in community. Our world is badly broken, but God originally created it to be filled with peace and harmony. God’s mission in our broken world is to “do justice” — restoring his beautiful creation to the peace and harmony he intended it to enjoy. He sent Jesus to show us what that kind of life looks like and, in his crucifixion and resurrection, to break the power of death and darkness that oppresses God’s lost children and all creation. Followers of Jesus are the agents of God’s revolution as they spread the good news of freedom, healing, and wholeness to their struggling, suffering neighbors. God’s Revolution interviews justice activists about the needs they are meeting and how redemptive personal relationships catalyze the transformation people need to experience justice personally and in community. 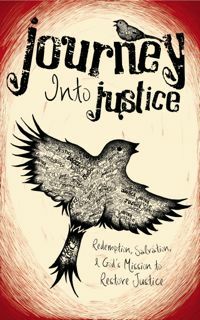 God’s Revolution is a sister site to Multiply Justice!, a clearinghouse for information about doing Kingdom justice in the world, and Journey into Justice, a web book that explains what it means to experience God’s salvation and live as a disciple of Jesus engaged in God’s mission. God’s Revolution is a companion site to a web book with the same name, located at godsrevolution.wordpress.com. All these are initiatives of Mark Kelly’s kainos blog. Inquiries about the site may be directed to kainosblog@gmail.com. Follow us on Twitter and Facebook.